JD’s grandparents’ community hosts an annual breakfast with Santa. 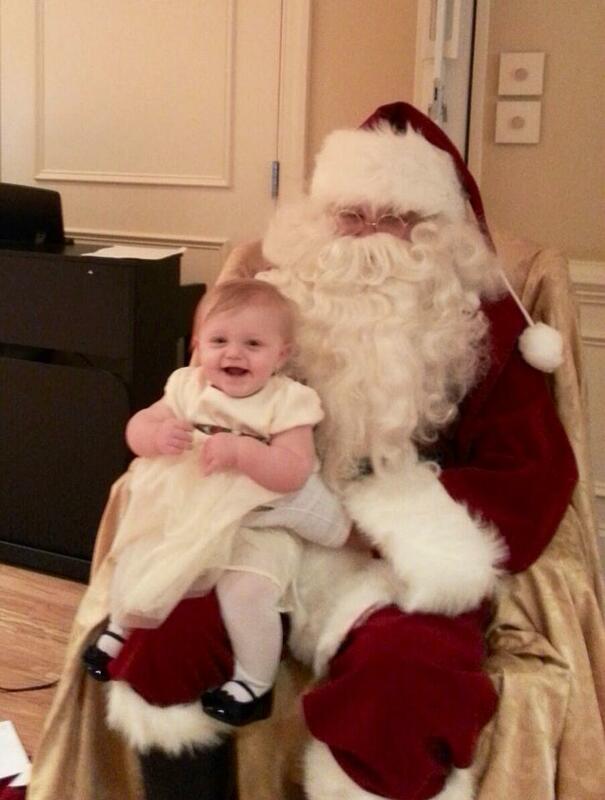 Since it’s Loralai’s first Christmas, she joined us for food, songs, and, of course, to meet Santa. 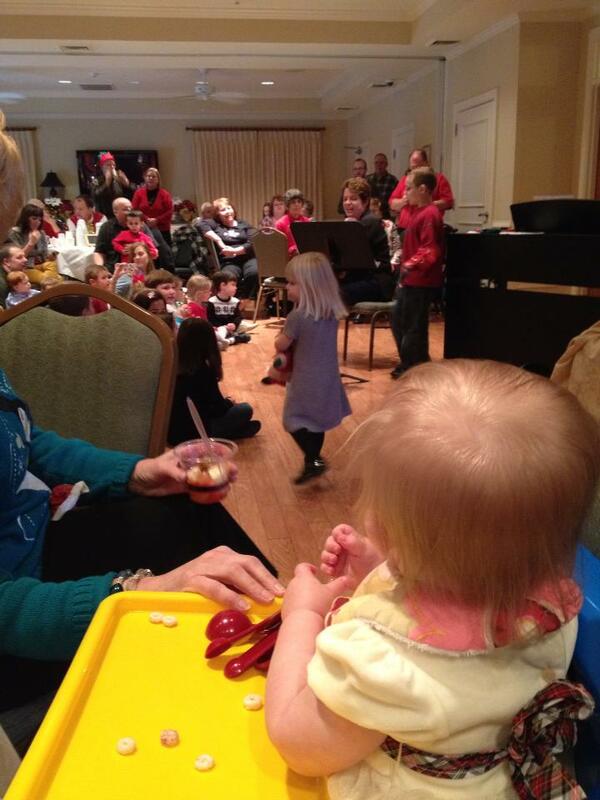 She LOVED watching the kids sing along to Christmas carols. I wasn’t sure how meeting Santa would go. She’s at an age where she’s starting to be aware of strangers, and sometimes she does get upset when someone she doesn’t know tries to talk to her or touch her. Honestly, I was kind of expecting a small meltdown. Our name was called and we took her up to Santa. 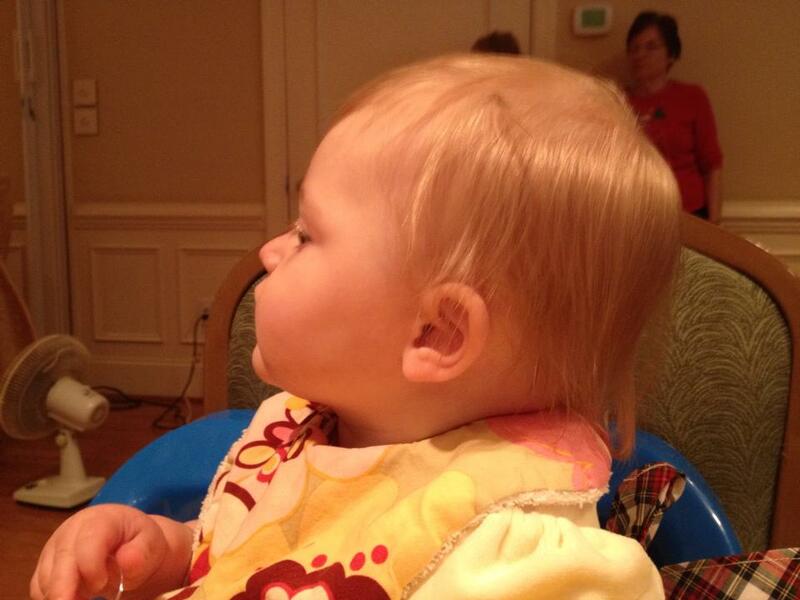 We put her on his lap, and I saw the hesitation on her face, but she looked back at him and smiled. She seemed fascinated by his large, white beard. She turned back to the camera, grinning. Success! 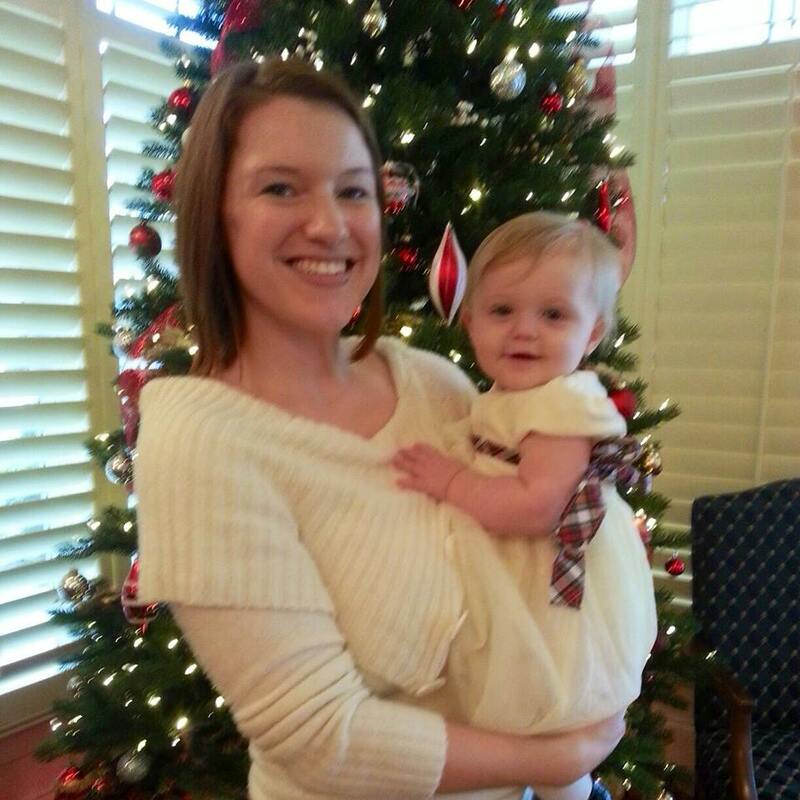 This entry was posted in Mom Life and tagged Baby L, Christmas, Loralai, Parenthood. Bookmark the permalink.